Being asked to write about Alvaro Ugalde—to me, “Minino”—challenges me enormously. Until this moment, I have celebrated his life in deep privacy. How can I begin to describe what Minino represented for me? Simply put, I am where I am in my profession because of Alvaro. He took a chance on me despite my utter inexperience in rainforest conservation, fundraising, or the nonprofit world. 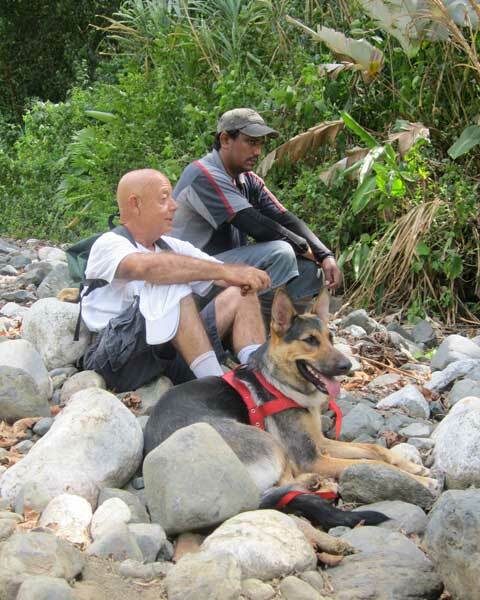 I was hired from a local bank to support Alvaro and others in the Campaign to Consolidate Costa Rica’s System of Protected Areas. I had no concept of the great cause in which I was enlisting, but I gradually realized that I was being mentored by one of the world’s conservation titans. In our journey together, I felt the extraordinary privilege of working with and for a born leader and visionary, a man who understood the critical importance of the natural world for human well-being. Alvaro Ugalde was a selfless, generous, and relentless advocate for the people he believed in, and a fearless and daunting warrior against injustice and unfairness. I have never known anyone with Alvaro’s courage and humility. He treated everyone equally, whether a national park sanitation worker or a president of Costa Rica. Alvaro was not impressed by wealth, power, or status, and he had no interest in the trappings of affluence or privilege. Rather, he cared passionately about honesty, right action, and nature. Of many, many days and moments we spent together, three stand out because of the lessons he imparted. In 1983, when Alvaro received the J. Paul Getty Award for Conservation Leadership at the White House, he graciously thanked President Ronald Reagan and invited him to visit Costa Rica. Despite having an empty bank account, he used the award money to establish a fund for his beloved park guards, who he felt were the true honorees. 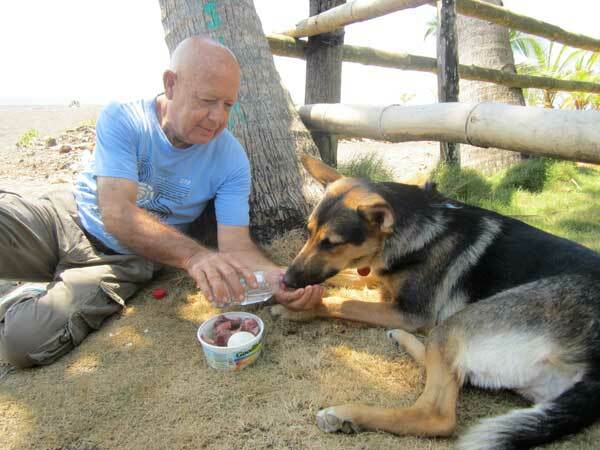 In 2012, Alvaro wanted to travel to Corcovado National Park by car with Sofia, his beloved German shepherd. A friend loaned me a brand-new 4x4 with all the luxuries. We drove slowly, stopping at all the hotels, restaurants, and landmarks, with Alvaro patiently explaining the significance of each. When we arrived in Corcovado, we encountered several old artisanal gold miners who said that they had been waiting for Alvaro for years. They fell to their hands and knees, incredulous that he had “materialized” in the flesh. 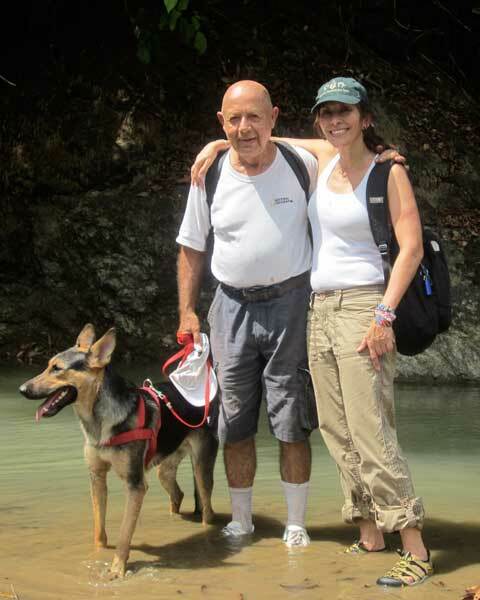 Like so many people in Costa Rica’s national parks, they believed that Alvaro was the only person of influence who could address their plight with both pragmatism and compassion. The trip was a gift for me. Listening to Alvaro for hours and hours, recounting our crazy adventures in fundraising, excitedly agreeing that we should write a book together, watching him hand-feed Sofia, and hearing him squeal with joy every time the transponder in the car allowed us to sail right through toll plazas—all this is a deeply treasured memory. This is the challenge, Lily: I spend every day of my life thinking about the parks and Osa. Osa is under fire, and it would be easy to surrender. But we can’t, and will not—there is too much at stake! Can you imagine this paradise turned into a strip mall like Guanacaste? It’s a choice—development a lo Miami, or all these beautiful environment services. Both are not compatible in such a fragile area. We have a huge battle to fight with the oreros (goldminers). It infuriates me to see the government being so complacent. Occasionally, as here, his eyes betrayed sadness, frustration that he could not comprehend the inaction of the people who should care. He felt a special resentment for the international organizations that made their name in Costa Rica and then packed their bags for higher-profile pastures. Upon returning to San José, we had breakfast at a typical small restaurant in Heredia. Afterwards, we went to Alvaro’s house where we finally discussed the subject of death. He was emphatic that he did not wish to die in a hospital—he wanted to pass quickly, and with only Sofia by his side. Minino got his wish on Valentine’s Day.